Fantastic! The NEW Pro Series 55" LED outdoor HDTV (SB-5517HD) - with SunBriteTV Extended Solar Tolerance (EST) technology - is here. 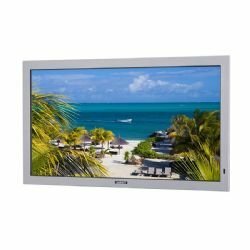 One of the many features of this rugged outdoor TV - EST technology - protects the TV screen from isotropic blackout ... an occurrence when TV monitors are placed in direct sunlight. Extended Solar Tolerance allows the TV to be viewed in direct sunlight. 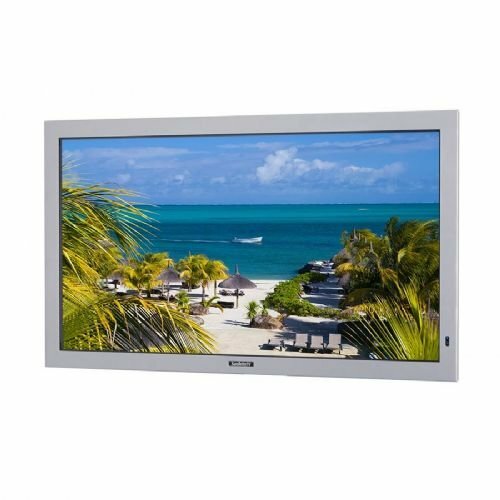 This SunBriteTV Pro Series 55" LED outdoor, all-weather television offers a superior, full-HD 1080p viewing experience for outdoor entertainment. A front protective tempered glass protects the LED back-lit TV screen from potential damage. Perfect if the TV setting is near an active, playful area, such as a pool - with volleyballs or Frisbees tossed around. All SunBriteTVs are designed for permanent outdoor installation and endless days of entertainment. Rated "safe" for outdoor home or commercial use. The SB-5517HD features a 55-inch diagonal TFT Active Matrix LED screen and powder-coated aluminum exterior - for added protection against rain, humidity, salt-air, heat and snow.